CMM-1CO Cable Oil Degassing Unit - ! Equipment for Transformer Oil Reclamation. GlobeCore. The СММ-1СО is designed to remove solid particles, gas and moisture from cable oil, to store portions of prepared cable oil and to add oil to OF cable lines with voltage up to 500 kV. The unit can also be used for evacuation of transformer and other equipment. ISO 4406 purity class -/19/16 or better. All components of the unit, except for prepared oil storage tanks, are installed in a container. Container front and sides are equipped with access doors for servicing the unit. 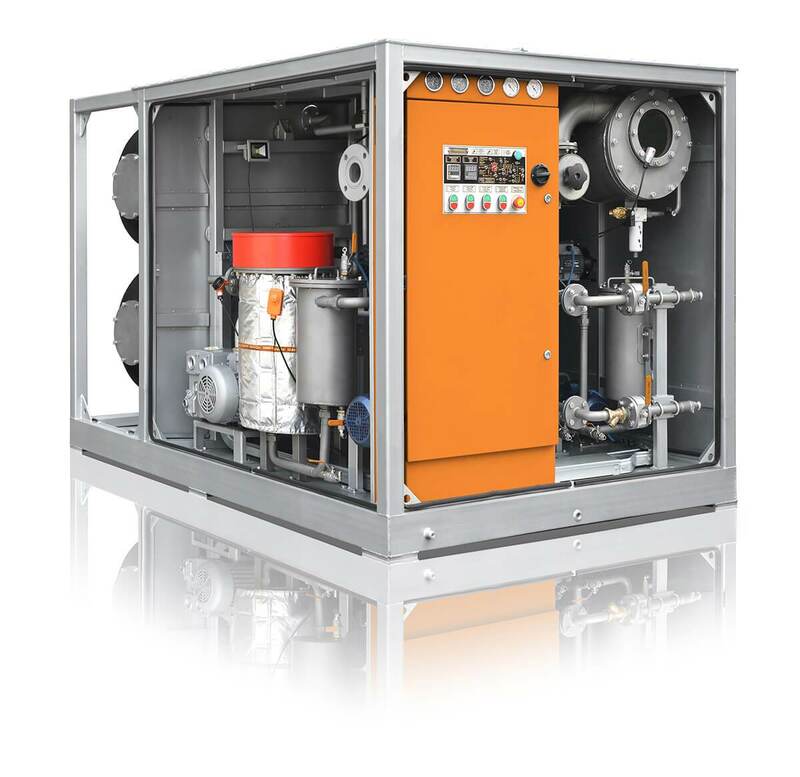 The СММ-1СО consists of a vacuum chamber, an input pump, a heater, an output pump, coarse and fine filters, a control cabinet, a vacuum pump and a backing pump, as well as oil storage tanks.